CHICAGO (WLS) -- A teenager was killed while trying to steal a fire lieutenant's vehicleon Monday and prosecutors say his death was a "justifiable homicide". The Chicago Fire Department lieutenant was off-duty when police say a 17-year-old jumped in his vehicle, which he had left running, in the 1400-block of North Lockwood. The 45-year-old lieutenant reportedly fired shots at the teen to try to stop the boy from running him over. 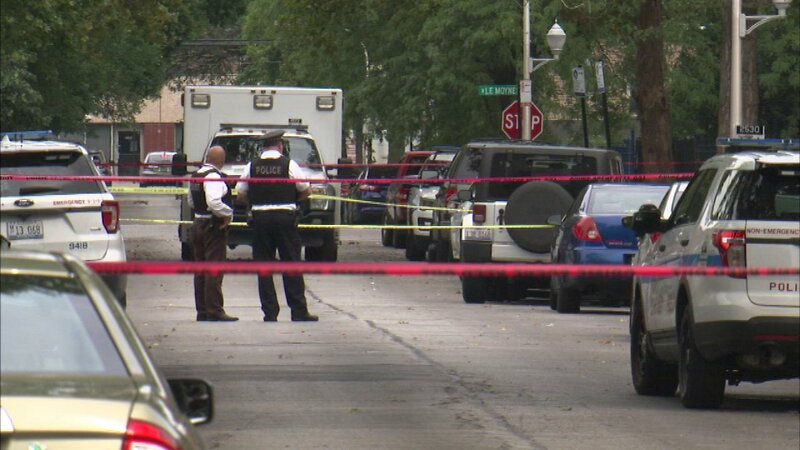 The teen was shot in the chest and was transported to West Suburban Medical Center, where he was pronounced dead. He was identified to the Cook County Medical Examiner's Office and police as Charles K. Macklin. Linda Brent, Macklin's mother, took part in a march Thursday night, saying she wanted justice for her son. "He killed my son on the street in the middle of the street. At close range. He put the gun into his chest and pulled the trigger," Brent said. Investigators said he has a valid concealed-carry license and firearm owners' identification card.